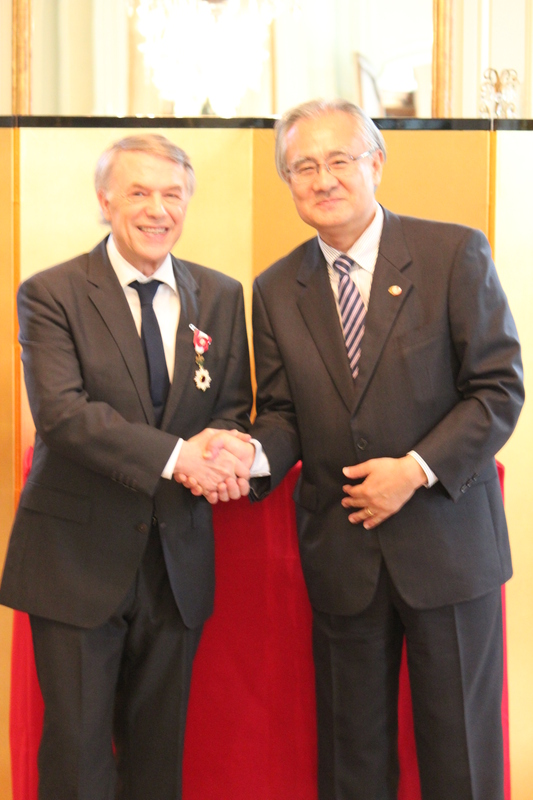 On June 15, the Conferment Ceremony of the Order of the Rising Sun, Gold Rays with Rosette on Mr. Salvatore Adamo, singer, was held at the residence of Ambassador Ishii. Ambassador Ishii expressed his gratitude to Mr. Adamo for his contributions to the cultural exchange and the promotion of mutual understanding between Japan and Belgium through his music. 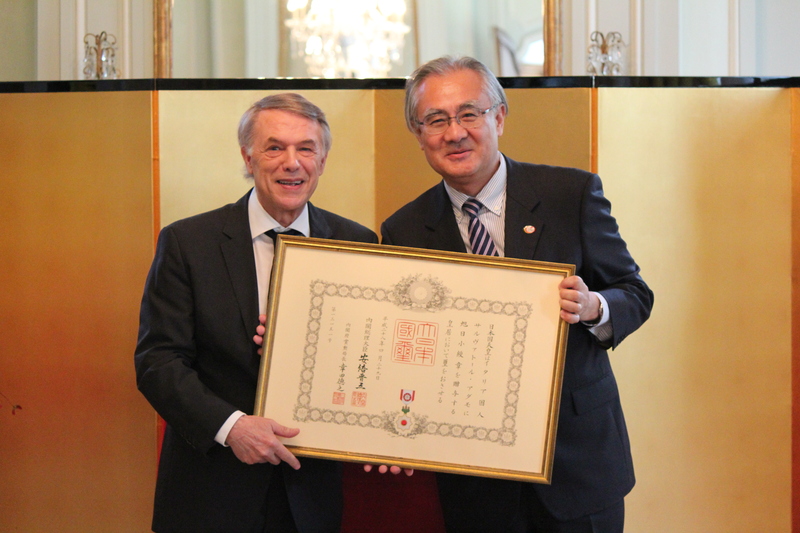 It was celebrated in the company of his family and friends, including Count Herman Van Rompuy, Friendship Ambassador of 150 Years of Friendship between Japan and Belgium and Honorary Consul Mr. Piet Steel. In 1963, Mr. Adamo came to Japan for his first concert when he was 20. He has been to Japan 38 times with over 500 concerts since then. “Tombe la neige”, known in Japanese as “Yuki ga furu”, sold over one million copies in 1970. Mr. Adamo has greatly influenced on the Japanese music and popular song world and deepened the exchanges with Japanese musicians and fans by offering his songs such as “Sans Toi M’amie” and featuring together with Japanese singers. Furthermore, as UNICEF goodwill ambassador, Mr. Adamo strives for peace and children’s rights, as well as being active in other charity work such as support for the victims of the 2011 Great East Japan Earthquake. Through all of this, he has made great efforts to strengthen the friendly relationship between Japan and Belgium.